For any organization in initial talks with a public relations agency, there are many questions to be asked. The obvious ones include queries about relevant experience, the team’s approach to media relations, and case histories. Every client has its list of questions, including very relevant ones and occasional eye-rollers. Here are some of the most common ones we get and our perspective on how helpful – or not – they are in making the best decision. 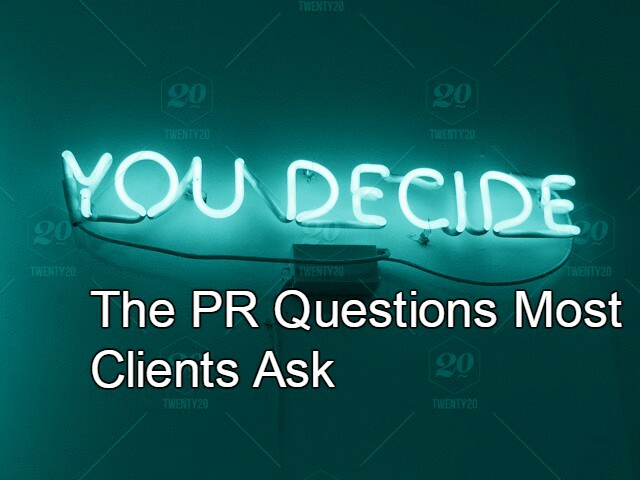 PR agency questions: To ask or not to ask? This is a key question, of course, and the answer shouldn’t come as a surprise. Every client wants to know what they will spend on a good PR campaign, but it depends on many variables. The PR firm will often want to tailor a program to meet a client budget, so we usually prefer the client to have a predetermined range. There’s no “ideal” PR budget, but there are some rules of thumb. Some companies look to an industry standard of budgeting 10 to 12 percent of gross annual income for marketing, including public relations. Newer thinking suggests that younger businesses be more aggressive, devoting up to 20 percent of gross revenue to marketing, while more established brands might hover at 6 to 10 percent. Verdict: PR programs vary in cost, but asking in advance about minimum retainer or project fees is a good way to weed out those that aren’t a good match. And having a budget in mind will save everyone time and money. Where does our company fit in your client roster? If an agency has several small clients compared to your budget and needs, it might mean they don’t have the bandwidth or experience to service your account. Another potential red flag is a single huge account that dwarfs all others; make no mistake, the mega-client will always come first. Ideally, your budget fits somewhere in the middle or even a bit above the agency’s client budget median. Some clients may want to probe more deeply to determine how senior and junior-level staff time is allocated to account work. Responses will help you learn how much attention to expect from the agency’s senior team. Will my team stay the same? What are the challenges of working with our company/category/story? Here, candor in the agency’s response is a good sign. 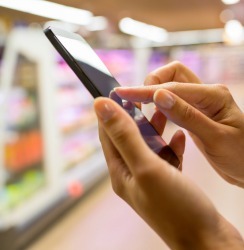 It’s very easy during the selling process to fawn over the brand or its innovative new product and to be starry-eyed about the prospects for success. But honest feedback from the agency team is valuable; it’s a sign that they’ve truly thought through the program strategy, or at least the category landscape. In our experience, these “challenges” can include a fiercely competitive category; a poor history of media relations with key players, a brand utterly lacking in news or relevance; or even internal factors like unclear goals or messaging. Both partners should appreciate an honest appraisal that leads to a productive working relationship. Some consider this the ultimate “eye-roller,” since most agencies will emphasize that they can’t guarantee traditional earned media placements. What smart agency teams do guarantee is that they will craft the most compelling story angles using experience, contacts, and client resources, leaving no media stone unturned. They can also offer anticipated results based on program particulars, budget, and other factors. But clients should bear in mind that the media landscape has changed dramatically with opportunities for placements that an agency can guarantee. These include bylined articles, social media posts and other user-generated content that have real power to increase brand visibility. But, ultimately, the agency should learn about client goals beyond brilliant strategy and solid earned media wins. They need to know how PR fits into the large business picture. So, this question opens up a good discussion about what success means and what truly constitutes “results” for PR and for the organization overall.